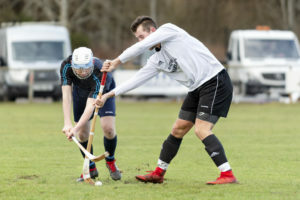 Shinty’s pre-season friendlies were affected by the weather for a second successive weekend with most games on Saturday February 9 called off. 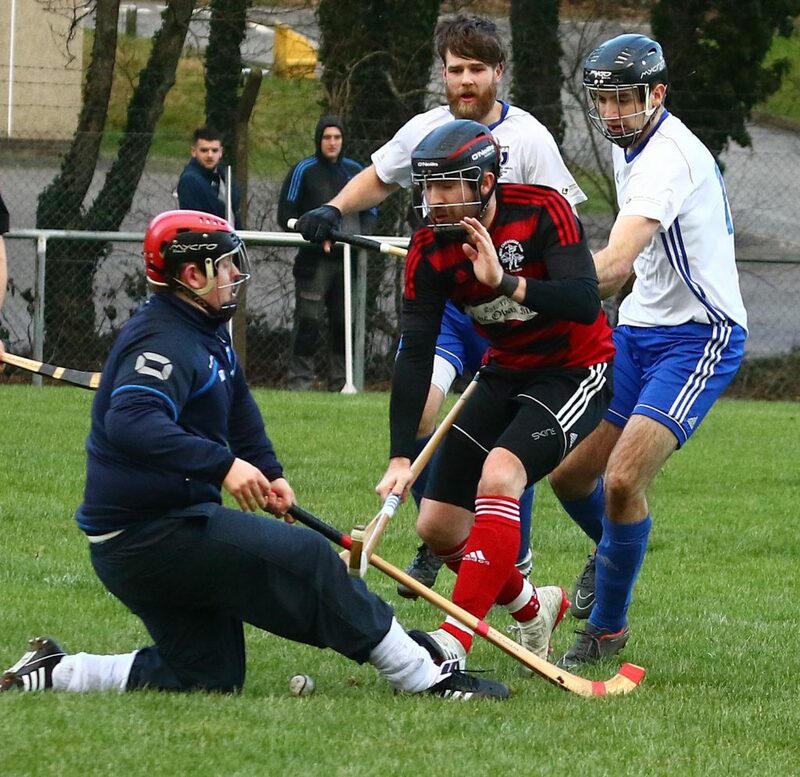 Oban Camanachd came from a goal down to defeat Glasgow Mid Argyll 5-1 at Mossfield. Red and blacks manager Stephen Sloss had a good squad to choose from and he used both keepers – Cameron Sutherland and Gavin Stobbart – during the game. New GMA boss Mark Bain travelled north with a full squad. The pitch was in good condition considering the recent rain, which is a great credit to groundsman Iain Hay. The visitors started with a strong wind in their favour and Garry Luke gave them the lead in the third minute with what proved to be the only goal of the first half. GMA keeper Robert Dunnings took a goal-hit which found Garry Luke who turned and shot goalwards from around the penalty spot with the ball taking a deflection, wrong-footing keeper Cameron Sutherland, on the way into the net. It was a fairly even first half, although GMA maybe edged possession. The wind dropped as the game went on but the hosts drew level when Andrew MacCuish took a shot from the Oban right and Daniel MacVicar got in before his marker to flick the ball home to make it 1-1. The Oban side went in front when Scott MacMillan collected the ball by the corner flag and cut across towards goal. Malcolm Clark made a run to the near side and thumped a first time shot into the roof of the net on his left side. When keeper Robert Dunnings was penalised for going to ground on top of the ball inside the D, the referee awarded a penalty. Andrew MacCuish sent the spot-hit into the top right corner of the net. Aidan MacIntyre added a fourth with a shot from 40 yards out which deceived the keeper and nestled in the top corner. Scott MacMillan rounded off the scoring. Aidan MacIntyre played a diagonal ball from the right wing, over the top to Scott MacMillan who ran forward from the left side. MacMillan, from just outside the ‘D’, took the ball out the air with a first time volley, using the back of his stick as he guided the ball into the bottom right corner of the net to round off the 5-1 win. Camanachd manager Stephen Sloss reflected on a good afternoon’s work. He said: ‘We had more pressure overall and scored some good goals. We made a lot of changes during the match to try a few things out so it’s always hard to judge the overall performance. Our fitness gave us a real advantage as the match wore on so the training is definitely paying off. ‘GMA are a good side, though, and they will do well this season. ‘We didn’t pick up any injuries and it was a good run out and that’s all we wanted. Ballachulish this week will be another step forward. Meantime, the match between Lochside Rovers and the Glasgow Mid Argyll second team was postponed on Friday as Ganavan was waterlogged. The annual Robert Wylie Memorial Cup match between Taynuilt and Oban Celtic at Taynuilt Sports Field on Saturday February 9 was postponed. The game was called off on Friday evening as the pitch was waterlogged. However, with neither side having a game this Saturday, the sides will try again at the same venue in what will be a first match in charge for both managers, James McLaren for Taynuilt and Dougie MacIntyre at Oban Celtic. Throw-up is 2pm. Skye Camanachd regained the George Michie Memorial Cup, beating Lovat 2-1 at Balgate. The match was reversed to Lovat’s home ground when Skye’s Pairc nan Laoch pitch was deemed unplayable. Skye took the lead on 27 minutes through James Pringle. Jordan Murchison found Ross Gordon who was closed down by three Lovat players. Gordon managed to flick the ball to James at the edge of the ‘D’ and he scored. Marc MacLachlan drew Lovat level early in the second half after Skye failed to clear their lines. Skye won it late in the game, however, when newly-installed captain Will Cowie picked out Jordan Murchison and his shot came back off the inside of the post. Lovat keeper Stuart MacDonald flicked the ball away, but only as far as Ross Gordon, who took a touch before scoring to give the islanders a morale boosting win over their Mowi Premiership opponents. The George Michie Memorial Cup was presented to Skye captain Will Cowie by George’s sister Fiona MacDonald. A textbook block from Lovat’s Lewis Tawse against Skye’s Martin Pringle. Photograph Neil Paterson. Ballachulish and the Fort William reserves met at Jubilee Park. Lorne Brown scored for Ballachulish but strikes from Connor MacRae, Jamie Duncan and Arran MacPhee gave Fort William a 3-1 win. In the other scheduled fixtures, Kilmallie’s trip to the Bught Park to play Inverness was first to fall with the weather leading to a Thursday afternoon postponement. Strathglass had invited Lochaber to Cannich to contest the Murdo MacKenzie Memorial Cup but the rain in the lead up to Saturday left the pitch waterlogged. Caberfeidh and Newtonmore tried hard to beat the elements but their match was postponed as both Castle Leod and the Eilan were unplayable. There was to be another all-Mowi Premiership contest as Inveraray looked to host Kinlochshiel at the Winterton but it was called off on Friday evening. There was also disappointment for Glenurquhart and Fort William with Blairbeg ruled unplayable. A frozen pitch led to the call-off of the Braeview Park clash between the Beauly colts and the Kinlochshiel colts whilst Boleskine’s bid to host the Glenurquhart second team at Smith Park was also beaten by the weather. After two weekends in which the weather came out on top, many clubs will hope for third time lucky as pre-season friendlies continue on Saturday February 16. Ballachulish will be tested as Oban Camanachd visit Jubilee Park for an 11.30am throw-up. This year’s Robert Wylie Memorial Cup match between Taynuilt and Oban Celtic takes place at Taynuilt Sports Field. Throw-up is at 2pm. The Oban Celtic second team take on St Andrew’s University at Oban High School’s all-weather pitch. Throw-up is at 10.30am. Lochside Rovers come up against the Kilmallie second team at Mossfield, with a 1.30pm start. Beauly and Kilmallie clash at Braeview Park at noon, whilst Mowi Premiership sides Lochaber and Lovat meet at Spean Bridge. Glengarry host National Division side Strathglass at Craigard. Caberfeidh and Kingussie contest the William MacPherson Plate at Castle Leod, whilst the Kingussie and Caberfeidh second teams will play at the Dell. Glenurquhart welcome Newton-more to Blairbeg. Boleskine are at home to the Kinlochshiel seconds, whilst the Beauly and the Glenurquhart second teams are trying to arrange a fixture. The draw for the cottages.com MacTavish Cup first and second rounds took place at Culduthel Christian Centre, Inverness on Monday February 11. The quarter final ties will be played on Saturday April 20. The draw was made by Stuart Walkden and Mark Whitehouse from the sponsors with Camanachd Association president Keith Loades and chief executive officer Derek Keir also present along with students from Inverness Gaelic School. Some eye-catching regional league fixtures lie ahead as the season starts on Saturday March 2. Lochside Rovers have home advantage in their opening game against the Inveraray second team. Brian MacCallum’s side follow up with trips to Taynuilt and Col Glen, either side of a home match against the Glasgow Mid Argyll second team. The Taynuilt squad travel to Col Glen before Lochside Rovers come visiting. James McLaren’s side then have a free Saturday before Aberdour come to Taynuilt Sports Field. Ballachulish welcome newly-promoted Glasgow Mid Argyll second team to the Jubilee Park on the opening day of the season before making for the Winterton to face the Inveraray colts. Col Glen follow up their opening day fixture at home to Taynuilt by travelling to Tighnabruaich to take on the Kyles Athletic reserves. Aberdour and Tayforth open their respective campaigns at Silversands. With nine teams in the division, the Kyles Athletic second team are without an opening day fixture but start at home to Col Glen a week later. 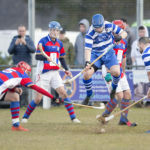 The Newtonmore second team will find it difficult to improve on a treble-winning season. Orsten Gardner’s side open their competitive season with a match against one of last year’s nearest challengers; the Fort William second team. The Glengarry squad travel to the Granite City to play Aberdeen University at Balgownie. The students finished bottom of North 1 last season but have been allowed to avoid relegation. The Caberfeidh second team finished second in North 2 last season, two points off the top, but they successfully made the case to step up, recognising the benefits of playing in North 1 with a senior side in the Premiership. They start at home to the Skye seconds. The Kingussie and Glenurquhart seconds open at the Dell, whilst the Kinlochshiel seconds begin with home advantage against their Lovat counterparts. The Oban Celtic second team have a tough opening day fixture at home to Kilmory, followed by an equally challenging encounter against 2018 champions Strachur in Oban. They then journey for a clash with the Aberdour seconds. Ardnamurchan restart their league campaign at Glenorchy before heading for Strachur a fortnight later. Strachur start against the Aberdour second team at Strachurmore. The Kilmallie and Beauly seconds open at Canal Parks. Lochcarron start at home to Lewis Camanachd, whilst Inverness have a derby meeting with Boleskine at the Bught. 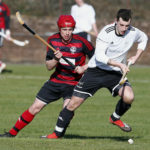 The Strathglass seconds have opening day home advantage against Strathspey Camanachd. The annual Drew Ferguson Memorial Trophy will once again be contested between Fort William and Kyles Athletic at An Aird on Saturday February 16. The teams and supporters will remember Fort William player Drew Ferguson who died tragically on May 15 2013, aged 24. Kyles are the holders having won 3-0 last year. Throw-up this Saturday is 12.30pm. Glenorchy have started shinty training sessions for primary school age children in Dalmally Community Centre. The sessions take place on Wednesday nights from 7.30pm until 8.30pm, with senior training from 8.30pm until 9.30pm. Donald Fletcher is the new president of the Glasgow Celtic Society. Donald Fletcher took over from John MacLeod at the society’s recent annual general meeting. The Glasgow Celtic Society also put on record its indebtedness to John MacLeod for his stewardship over recent years. The society is delighted he will continue as a director. Bobby Nicholson has taken on the role of vice president.